The U.S. Environmental Protection Agency requires the Consumer Confidence Reports (CCR, also known as Water Quality Report) be distributed by July 1 each year for the previous year. 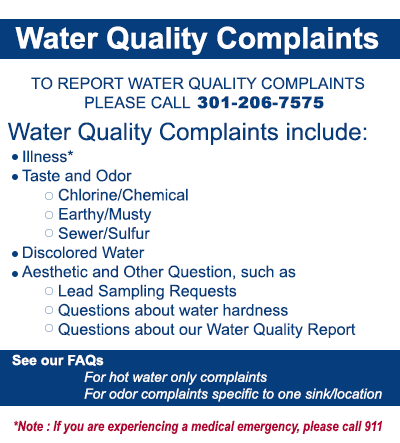 In 2012, WSSC began electronically distributing its Water Quality Report. In addition to electronic distribution, the Commission is happy to provide paper copies to customers upon request. Please call 301-206-8100.